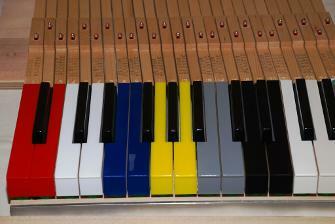 Piano Tuner in Inverclyde, Renfrewshire, Glasgow, the west of Scotland and beyond. Contact me today to discuss your piano issues, straightforward or complex. Whether your query is about tuning, repairs, regulation, voicing or technical appraisal, I'll do my very best to help. Please note: I don't service or repair electronic keyboards and I don't buy secondhand pianos.